…the Sacramento Branch of the California Writer’s Club, founded October 31, 1925. Miller was a celebrated poet at the time. The Sacramento Branch was the first of a number of branches founded throughout the state. CWC President, David George, presented us with a new charter, as the original one was long lost. 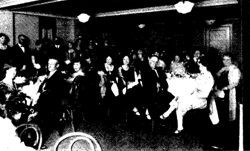 Margie Yee Webb, our branch president, showed an archival print of the founding Sacramento members – the men in suits and tuxes, the women in dresses and evening gowns. In those early days, they met for dinner and discussion, then adjourned to someone’s house for more conversation and drinking. The schedules, conventions, and mythologies of writer’s and poets have changed over the last 90 years; now we meet for breakfast or lunch, usually in jeans, and coffee is the libation of choice. Jack London – who once worked as an oyster pirate and was jailed for a month for vagrancy – was the first creative artist, in any medium, to earn a million dollars from his work. One of my early blogging efforts, posted five years ago this month, was the account of a trip to Jack London State Park. I recommend a visit to all who enjoy his work. The final presentation of the day was by literary agent, Laurie McLean, of the Fuse Literary Agency, who discussed why no writer needs an agent on the road to publication anymore. She also discussed those things an agent can do for us. The gist of her talk was that we are only witnessing the start of the new forms of storytelling digital media will enable. She cited one example, popular in Japan, of serialized novels for cell phone apps that one can purchase 2,000 words at a time – a 21st century version of the way Conan-Doyle released Sherlock Holmes, a chapter at a time, in The Strand. “What and who are you writing for?” Laurie asked. If we need the assurance that comes from acceptance by a traditional publisher, then we need to play the traditional game, but if our goal to get our story into the hands of readers, then new, more direct avenues are opening all the time. 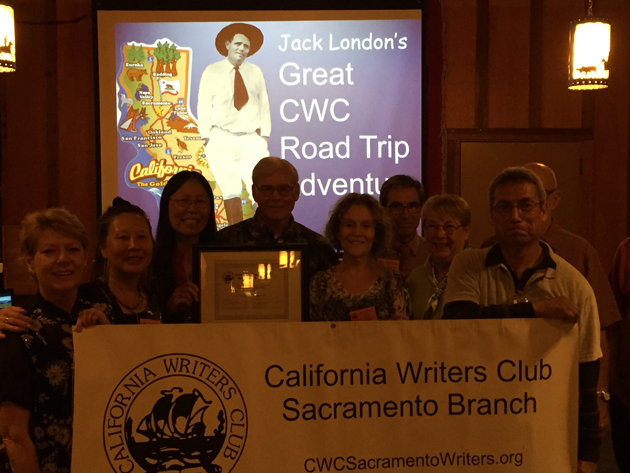 Despite Jack London’s success as a writer, one of his greatest legacies may be the California Writers Club. It has nourished writers all over the state for the last 90 years, and hopefully will be here at the century’s end, encouraging those who have not been born yet, who will work in media that have not yet been invented. This entry was posted in Authors, Culture, Writing and tagged books, California Writer's Club, Culture, ebooks, Jack London, writing. Bookmark the permalink. I really wanted to attend this meeting, but Gehrig had a baseball tournament, and grandchildren trump everything. Thanks for telling me about it. You’re welcome. Grandchildren and baseball in October! When I wrote that first piece on Jack London, Mary and I were staying in Santa Rosa, to visit Jack London’s home and the Charles Schultz Museum. I remember evenings glued to the nail-biting NLCS, as the Giants went down by 3 but managed to pull out of it. Let’s hope the Cubbies can do it after only two losses! I’ll send email on how to get Laurie’s presentation. I didn’t realize Jack London was the first artist to earn over a million dollars. Impressive! I cannot remember exactly how many local branches there are in the state, but quite a few, both in populated and rural area, as Jack London would have wished.